I‘ve written before about the importance of engaging key supporters (heck, we wrote a white paper with Blackbaud and the National Wildlife Federation on that very subject last year). The other day I got to experience a fantastic event geared toward doing just that. 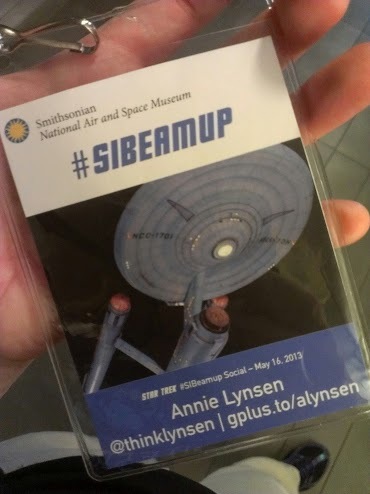 Earlier this month, the Smithsonian National Air and Space Museum posted an invitation to an event built around the new movie “Star Trek Into Darkness.” But this wasn’t an ordinary tweet-up. This was designed to be an intimate, behind-the-scenes event for only 10 people. People were invited to apply, and then staff from the museum evaluated the responses, chose the best ones, and did a random drawing of those who made the cut to get the 10 participants. I was lucky enough to be chosen as one of the 10. 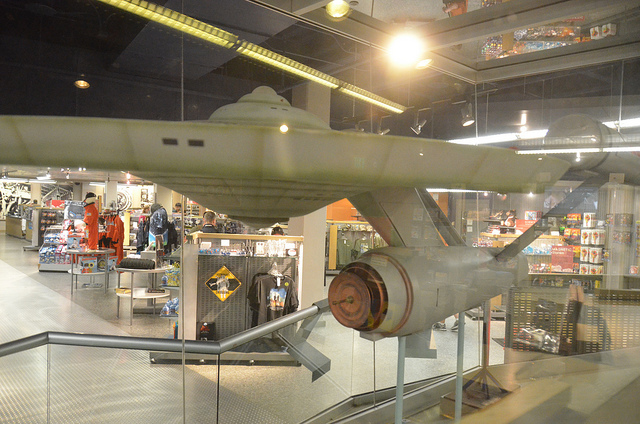 I was excited to see some Tribble props up close (they’re not usually on display) and talk to the curator of the Star Trek memorabilia in the collection. But then it got better! We soon learned that we all scored tickets to an advance screening of “Star Trek Into Darkness” the night prior to the event, plus we got to participate in a Google+ Hangout with a few astronauts, including one on the International Space Station, and members of the cast and crew of the movie. (I even got to ask a question on camera!) We even got nice “swag bags,” which included a Star Trek T-shirt, temporary tattoos, a movie poster and a ticket to see the movie in IMAX 3D at the National Air and Space Museum Steven F. Udvar-Hazy Center. Needless to say, it was an unforgettable event. It wasn’t my first experience at a tweet-up hosted by the National Air and Space Museum, though, and both events I’ve participated in demonstrate the impact that in-person events can have on building relationships between nonprofits and supporters – particularly supporters who are enthusiastic participants on various social networks. Because of these events, I’ve now met and spoken to several real-life astronauts, and I think it’s safe to say there’s almost nothing I won’t do for that museum. And I certainly will be telling my friends about my awesome experiences for years to come. Make it intimate and exclusive. By keeping your numbers down, you build a sense of urgency to apply, and you provide a better experience for those who do participate. Offer something unique. Every nonprofit has something special they can offer to a small group. Perhaps it’s a quiet meet-and-greet cocktail hour with your staff and CEO or executive director, where you can do a personal Q&A with a couple of lucky supporters. Maybe you can take people on location to watch your nonprofit in action. There are lots of possibilities. Treat them like rock stars. VIP treatment goes a long way, and often costs little to nothing (but requires good planning). One of the nicest perks we got at the event was advance seating at both the movie and a panel presentation at the museum – even little things like that, which make life easier, can mean a lot to participants. Make it easy for them to talk about the experience. The museum sent us advance information on wi-fi and outlet availability, and provided all of us with a handout when we arrived that listed Twitter handles for everybody we’d be talking to that day. Also, remember to get photo/video releases for people, and take photos and videos to post on your social channels! Choose the right people. If you don’t have an established, in-person relationship with the people you’re inviting to your exclusive event, look for people who are passionate about your cause and who also present themselves well on social media both in terms of content and activity level. These are the kind of people who will speak well, often and articulately about their experience online and will enjoy each other’s company as well.